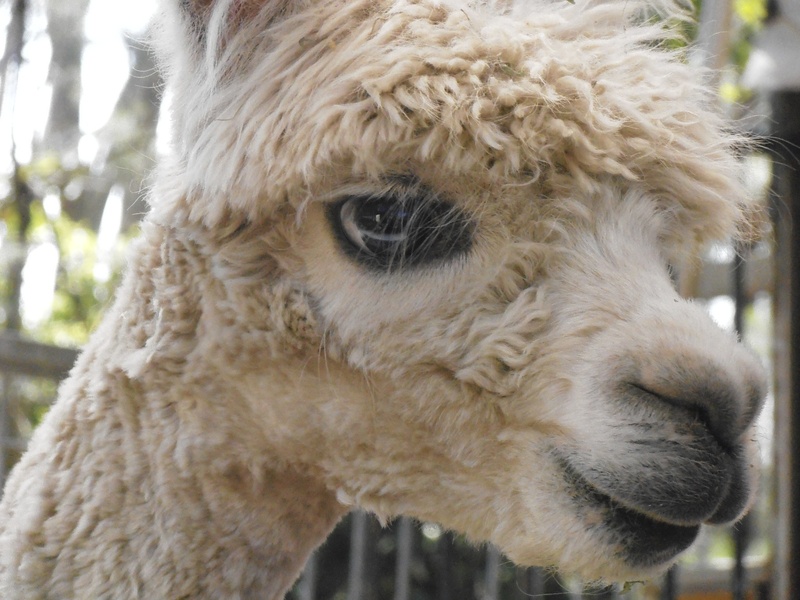 Meet Al Packer – a friendly fellow from Bumble Hill Alpaca Stud who carefully watched over the proceedings when Guild members participated in the Fiftieth Anniversary Mangrove Mountain and Districts Country Fair. Alpaca’s don’t have wool, they have fleece – and the resulting fibre is highly prized by both spinners and clothing makers. Alpaca fleece comes across a wide, natural colour spectrum ranging from white, through many shades of brown to black. The fibre also readily accepts dyeing. Clothing made from alpaca fleece is known to be warm, durable, light weight, and not scratchy to the skin.